The northernmost city in the kingdom, Chiang Rai is more than just Chiang Mai's quieter brother. With an abundance of nature, Chiang Rai is the go to place for local nature lovers. Not only that, but it is the birthplace of Thailand's most famous artists, and the stunning White Temple, Blue Temple, and Black House reflect the artistic heritage of the city. The food here is also among the best in the North. With so many things to do and see, here's our list of the best thing to do in Chiang Rai. 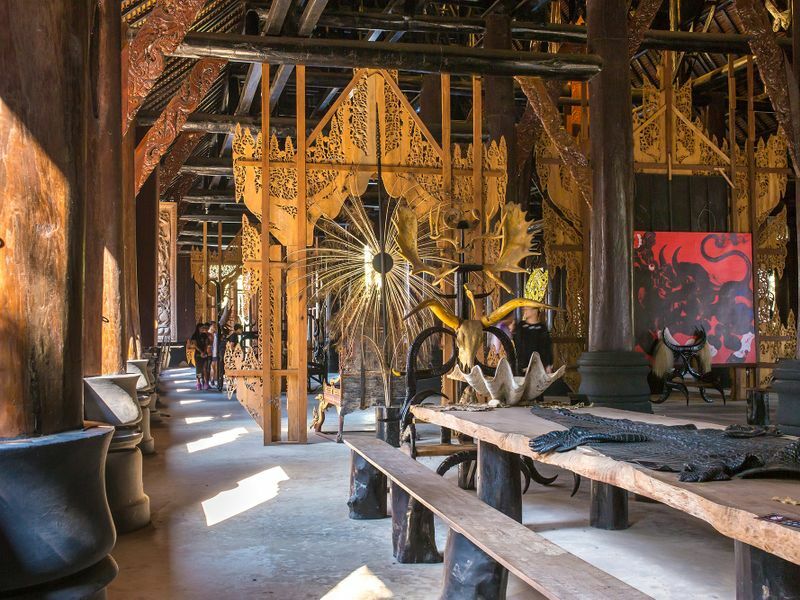 Chiang Rai is renowned among us Thais as the birthplace of some of Thailand’s most revered artists. Various temples and other Buddhist architectures in the city are prime examples of their proud masterpieces. These otherwordly works of art can be seen in the places here below. 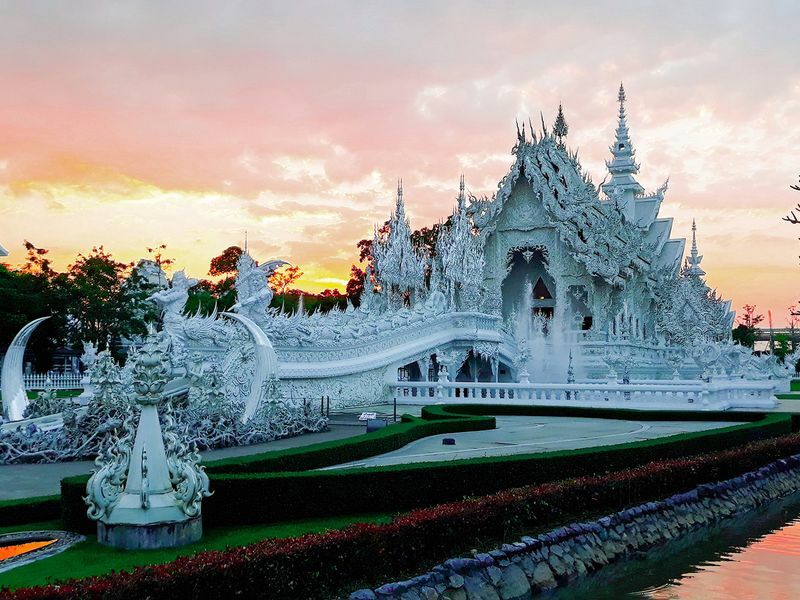 The White Temple, or Wat Rong Khun has its own amazing history, as it was once an old, deteriorated temple until national artist and Chiang Rai native Chalermchai Kositpipat renovated it in an entirely new style. Apart from its stellar all-white exterior and elaborate carvings, the artist combines contemporary culture in the White Temple design. Also, don’t forget to visit Chalermchai Kositpipat’s art gallery in the temple complex. The gallery hosts a large collection of the national artist’s masterpieces. This amazingly mystical temple is designed by Chalermchai Kositpipat’s student, Salanok. The Blue Temple or Wat Rong Suea Ten is the latest addition to Chiang Rai’s flamboyant, multicolored architecture. 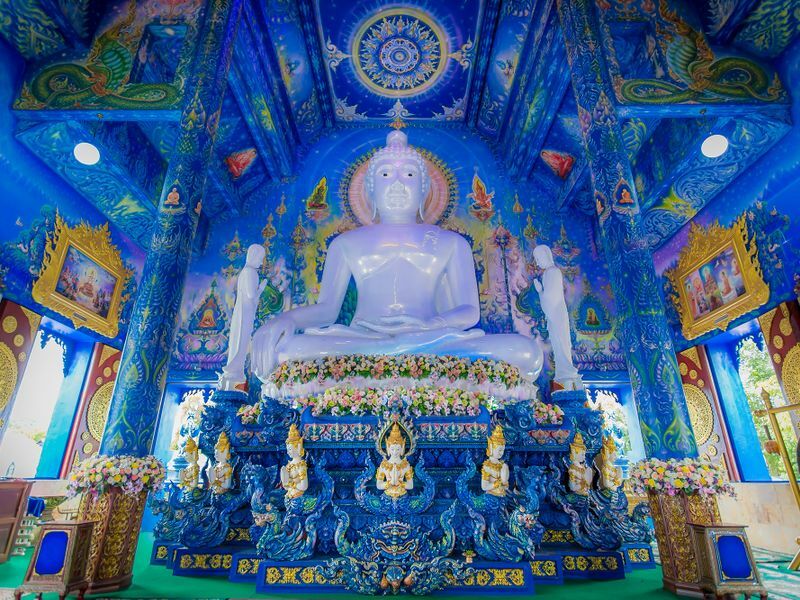 Painted sapphire blue inside and out, Wat Rong Suea Ten isn’t as big as the aforementioned White Temple, but your journey into this northern Thai fantasy will not be complete without giving it a visit. Born in Chiang Rai, the late great national artist Thawan Duchanee made a tremendous influence on the Thai art scene. One of his most impressively eerie works is Black House. The museum hosts 40 Northern Thai temple-like buildings, each one decorated with animal remains that the modern Buddhist artist collected. Black House isn’t just about its dark color scheme but also the dark but undeniably true concepts of life and death. Skins, skulls, horns, bones and other animal parts symbolizes the inevitable death that everyone must face and can be interpreted in numerous different ways. 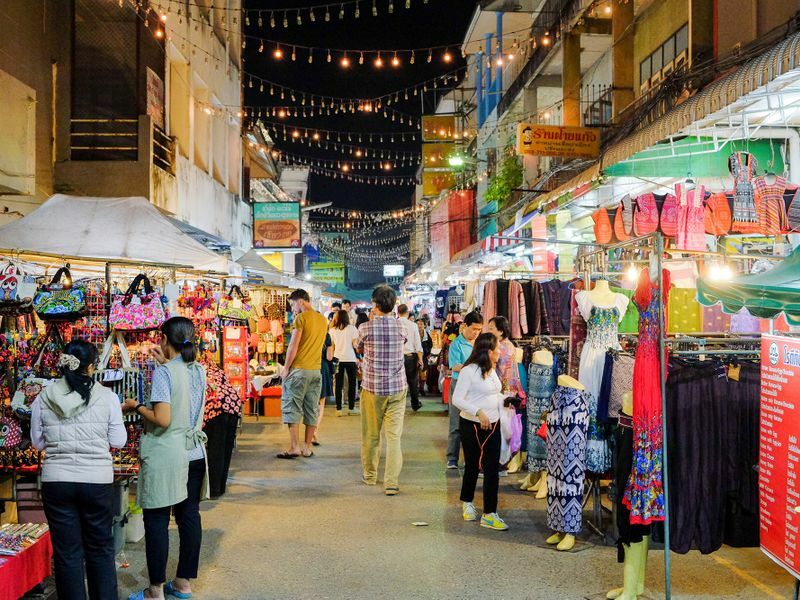 In Chiang Rai, you can shop till you drop without breaking a sweat! Chiang Rai Night Bazaar in the old city area opens daily with a myriad of local handicrafts that you can buy for souvenirs. The night bazaar is also a cultural experience with local food and traditional shows available. If you prefer walking street, Chiang Rai Walking Street opens every Saturday from 4 p.m. to midnight. Traditional arts and crafts and Northern-style street food are expected to be seen and eaten, but a traditional Thai dance with locals? There's quite nothing like it anywhere else! Foreigners are more than welcome to try Thai dancing with Chiang Rai locals on Chiang Rai Walking Street. Few people, even locals have been to Doi Pha Tang, which makes it a great destination for explorers. 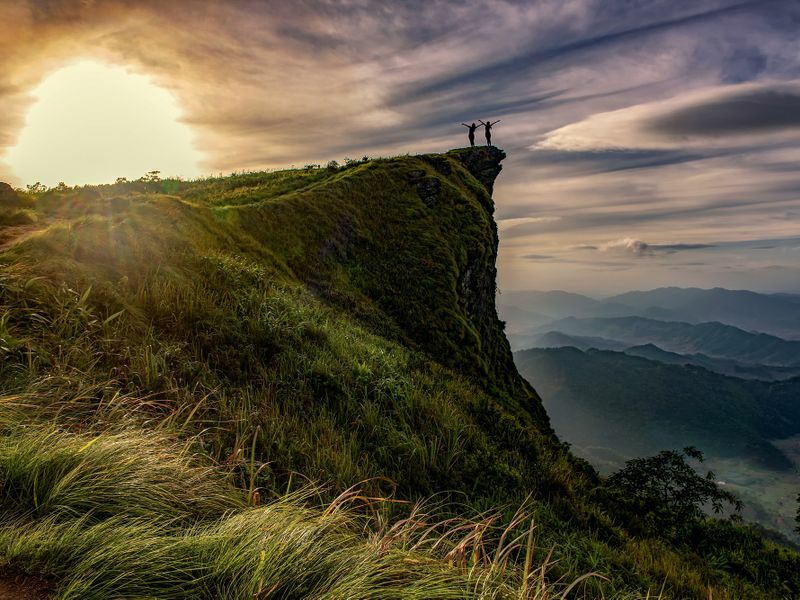 Apart from panoramic views of mist and clouds from Hill 101, Hill 102 and Hill 103 (the peak that rises 1,653 meters into the sky), Doi Pha Tang is unique with rock cliffs (Chong Pha Kad) that look as if they were torn apart. You can even see the Mekong River and Laotian valleys down below through the mist and the cliff gates. While you can enjoy the sea of mist at Doi Pha Tang all year round, visit in December or January for wild Himalayan cherry blossoms. 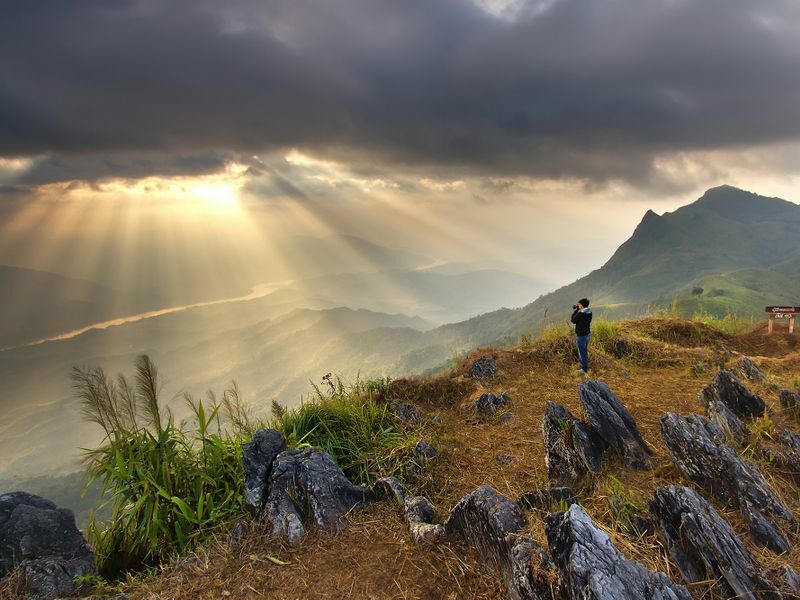 Phu Chi Fa is one of the most popular spots to view the sea of mist and sunrise among Thai travelers that remains somewhat under the radar among foreign visitors. Pointing to the sky as its name says, the silhouette of Phu Chi Fa against the sunrise is a stunningly unique sight to behold. Once you catch the sunrise at over 1,600 meters above sea level, be sure to stay! Phu Chi Fa sits astride between the border of Thailand and Laos, so you can see the Mekong River, forests and mountains in the other side after the mist dissipates. Like Doi Pha Tang, Phu Chi Fa is blessed with wild Himalayan cherry blossoms from December to January. 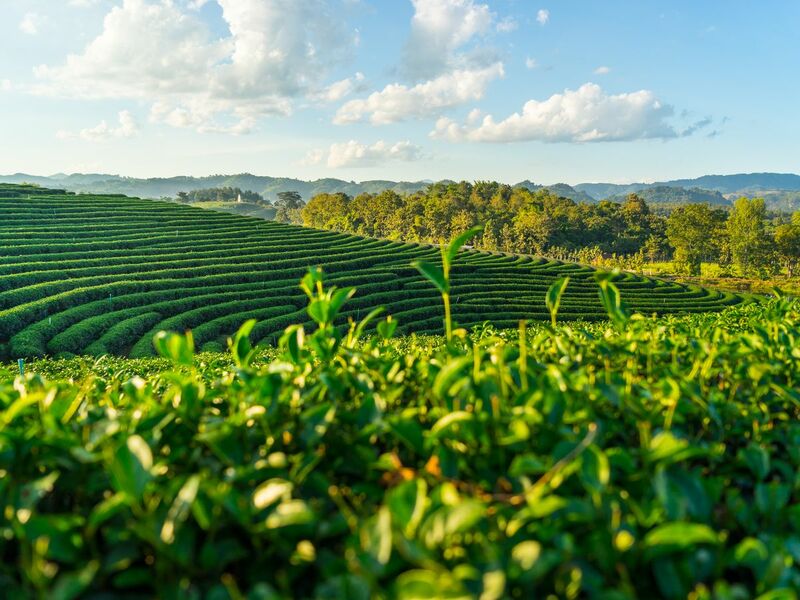 Chiang Rai has some of Thailand’s most beautiful and best tea plantations and highest-quality tea. 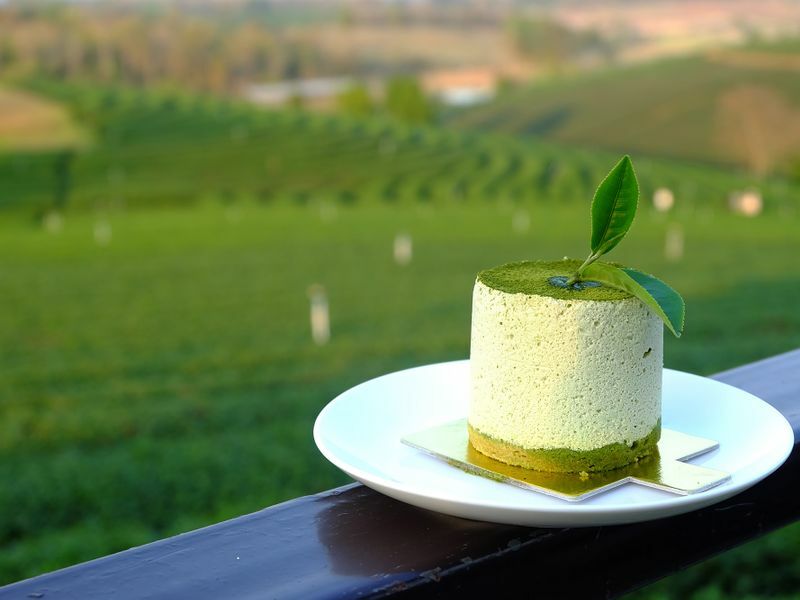 Tea plantations such as Choui Fong Tea Plantation, 101 Tea Plantation, and Wawee Tea Plantation are among Chiang Rai's best. Each one has its own charms and offers different kinds of tea, so do take your time during your visit to each of them! While the Golden Triangle has a shady history of drug trafficking, the area is now safe and has become one of the most popular tourist destinations in Chiang Rai. 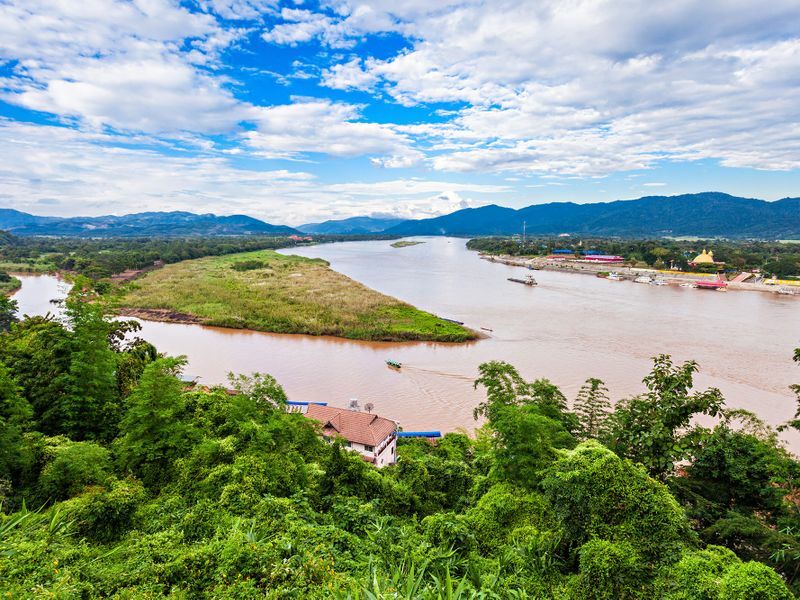 The Golden Triangle is where the borders of Thailand, Myanmar, and Laos (the Mekong River and the Ruak River) meet, so don’t miss the viewpoint. There is also the golden Big Buddha placed on a boat. Owned by Boon Rawd Brewery (the manufacturer of Singha Beer), the park is all about agro-tourism. Fruit orchards, vegetable farms, flower fields, tea plantations and family attractions reflect the abundance natural diversity of the park. 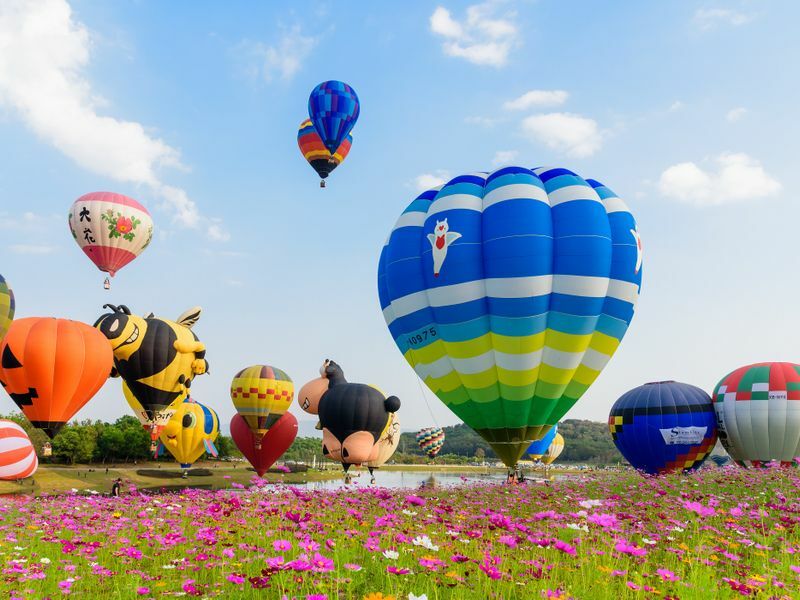 It also hosts many events ranging from music festivals to cycling events as well as Singha Park International Balloon Fiesta every February. Doi Tung is definitely a great place to enjoy a breath of fresh air. 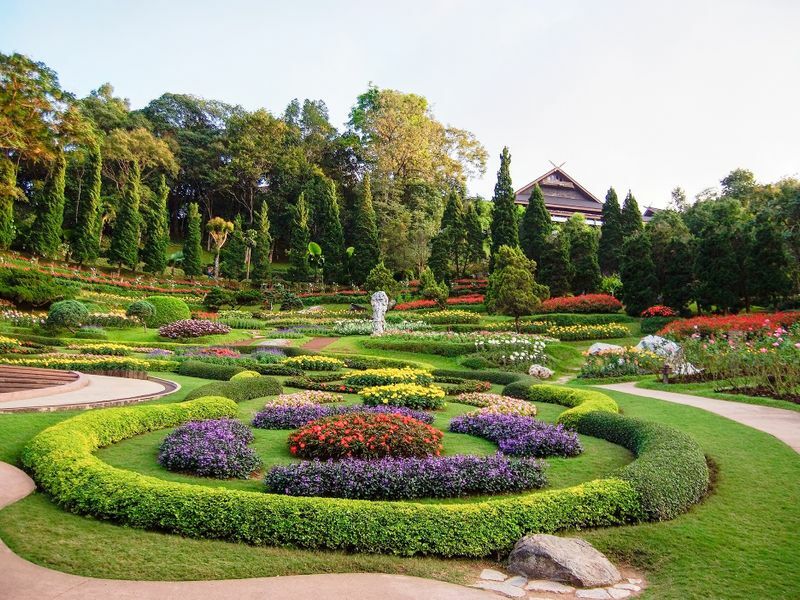 You can go for a walk along lush greenery and colorful flower beds of Mae Fah Luang Garden, coupled with the new Doi Tung Tree Top Walk. Also, you can support the local hill tribes by purchasing their fresh vegetables, fruits, and other products including silk clothing. As the Doi Tung Development Project was initiated by Princess Mother, you can also visit her Lanna and Swiss-style Royal Doi Tung Villa.